RIO DE JANEIRO, Brazil – As he watched the news on television from the comfort of his cosy flat only a few months into his new life in Rio de Janeiro, Mohammed Najjar, a refugee from the Syrian province of Latakia, was animated by a fact that few Brazilians would notice: Brazil's new interim president Michel Temer is of Lebanese descent. Najjar chuckled to himself as he recalled how Lebanon has not had a president since 2014 due to its divided parliament, and now "Brazil is going to have a Lebanese president!" Temer took office in May after Brazil's parliament voted to impeach President Dilma Rousseff, forcing her to step aside in the wake of a corruption scandal. For the majority of Brazilians today, Temer's heritage is one of the least important items on their minds. His single-digit support ratings, quick turnover of scandal-ridden ministers, and forthcoming austerity measures trumped that. But Najjar's flicker of recognition of Temer's Arab roots spoke to another fact quietly happening on Brazil's sidelines. South America's largest country has just witnessed a two-year-long economic and political crisis that has seen hundreds of thousands of people lose their jobs, with mass demonstrations on the streets on a near-weekly basis. At the same time, a small wave of refugees fleeing the Syrian conflict has taken advantage of the country's unique open-door policy afforded to them, allowing today's fleeing Syrian nationals the possibility to meet with their deeply rooted predecessors from a diaspora a century older. For instance, about a century separates Najjar's and Temer's families' transatlantic journeys. Nearly 10 percent of Brazil's congress claims Arab ancestry. Nowadays, at around seven million, the Lebanese population and their descendants actually outnumber that of the Mediterranean nation itself. The connection between Syria and Brazil has been a strong one. Just a year before the Syrian revolution and civil war began, President Bashar al-Assad and first lady Asma al-Assad visited a prominent Syrian-Lebanese private hospital in Sao Paulo. The medical facility is considered to be one of the best in Latin America and it is where former Workers Party president Luiz Inacio "Lula" da Silva and Rousseff both received cancer treatment. While the door to Brazil may open easily, newcomers then find themselves in something of a freefall here. The little the government offers in terms of financial support is the Bolsa Família, the country's flagship anti-poverty welfare programme - about $50 a month - usually distributed to poor mothers in exchange for keeping their kids in school. Historical mosques and Orthodox and Roman Catholic churches have instead stepped up to provide some guidance to Syrians, who are often surprised to find their predecessors have left strong marks across the hemisphere. Nowhere is that more apparent than in the snacks Brazilians eat on a daily basis: stuffed-meat pizza-like sfihas and bulgar wheat kibes are standard street food in South America, and the country's most ubiquitous fast-food chain is called Habib's. Its logo is a grinning mustachioed man in a red fez. Well beyond snack food, the Arab diaspora across Latin America is associated with the region's elite: the world's second richest man, Mexican telecom investor Carlos Slim Helu, is of Lebanese descent, as is Colombian pop star Shakira. For Najjar, his retracing of the old migration trail between the Middle East and Brazil began in Syria in early 2015 when a bomb went off just a hundred metres away from him. He had been growing increasingly desensitised to the four-year-old civil war, continuing to work in his office even as he heard explosions nearby. The power of the blasts would cause him and his wife to frantically phone each other to check in and assure themselves that the other was safe. Soon he became concerned about what he began to understand was the death of his "inside self," and a growing sense of fear and outrage over the atrocities taking place around him. 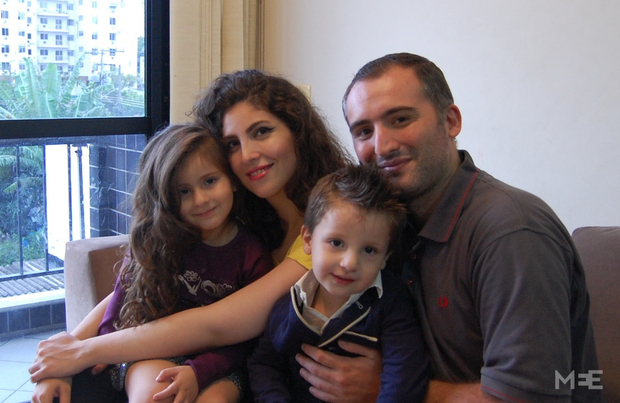 With two children under the age of three, Najjar set out to find a country he could safely and legally take his family. Malaysia interested him as a fellow Muslim nation, but when he visited Kuala Lumpur he could not foresee a future for his family there. He also tried travelling to Cambodia to scope out opportunities as a businessman, but immigration authorities cut the time he was allotted in the country on his visa to less than a fourth of the period he had been granted. "It was like mission impossible to find a place to live," he said. Najjar eventually found out what many of his countrymen were discovering in consulates in Jordan, Turkey and Lebanon: that Brazil was a rare exception because it was encouraging Syrians to go there. One young Syrian woman in Brazil recalled that Brazilian diplomatic missions put out a notice saying: "Syrians welcome here." Brazil streamlined the issuing of visas for Syrians, offering a humanitarian visa that allowed persons of any nationality affected by the Syrian conflict to go there securely and apply for asylum. For those who did not take the more above-board route, there is another area of leniency – there are no penalties for arriving with a fake passport, which is a necessity for many coming from the Syrian conflict zone, provided the individual declared it as such and applied for refugee status. Najjar said that as schoolchildren in Syria, he and his classmates learned about Alaska and Alabama, but not Colombia and Argentina. Still, even though Brazil may at first have felt very off the map, when he arrived he found that blending in was not so hard for a Syrian family in a country with a deep history of European, Japanese and Arab migration, along with the world's largest African diaspora. "All shades are Brazil," he said, adding that that's not that case in every country a Syrian refugee may consider. "If you go to Sweden," he said with a laugh, "all people are the same shade." For many Brazilians, the arrival of refugees strikes them as an odd choice of destination given recent memories of their countrymen leavingleft Brazil in large numbers to escape poverty in hopes of a better future, often as undocumented immigrants. Asylum requests in Brazil have grown by 2,800 percent in five years. Syrians now constitute the largest group of asylum seekers, though their numbers are still small compared to refugee populations in wealthy nations. Some 2,298 Syrians are recognised as refugees in Brazil. "For me, it's really fascinating and exciting that South American countries are stepping up to do this," said Daryl Grisgraber of Refugees International, a Washington-based advocacy organisation, referring both to Brazil's policies and Uruguay's experiment flying in a cohort of Syrian families from a refugee camp in Lebanon. A darker side to integration? On the frontlines of explaining Brazil to Syrians and vice versa is Sara Ajlyakin, an energetic young woman who regularly speaks with the Brazilian media and school groups about the Syrian crisis and who is seen by Syrians in Brazil who know her as a marvel of integration. But she takes a far dimmer view of the way the country receives them. Ajlyakin can speak about Brazil's current political woes in a vowel-heavy Portuguese accent as articulate as any native speaker's, and protests legislation restricting abortion rights and the country's hosting of the 2014 World Cup alongside Brazilian activists. Her first contact with the country was through a far-left political party and various socialist movements, which she said helped her integrate and immerse herself despite having little contact with fellow Syrians when she arrived. She is the only Syrian she knows who came over as a single woman. Indeed, 80 percent of asylum applicants in Brazil are male. Ajlyakin supports herself through translation work and giving private piano lessons. She has even spoken with Syrian families who chose to leave Brazil, flying back to Turkey or, extraordinarily, even to Syria. Ajlyakin sees a darker story in the celebration of small milestones, like the home cooking businesses Syrian families are increasingly setting up, which to her underscores the low expectations everyone seems to have for Syrians' future life in Brazil. "It's so sad because the standard has gone down to, 'Oh, are they letting us in?' People are dying in the seas getting to Europe," she said. "You need a bit of dignity." Many Syrians in Brazil are highly trained professionals, she added, but are not able to validate their diplomas here and have to work in menial jobs, despite being in a country that imports doctors from Cuba and in recent years offered tens of thousands of scholarships to train a new generation of scientists by sending them abroad. "You can be a nuclear engineer, but your degree means nothing here," she said. The Najjars, like Ajlyakin, made a point to move to a place that would put them among Brazilians and away from the new Arab diaspora here. In addition to wanting to learn a new language and culture, Najjar said conversations with other Arabs would spin endlessly around the latest conflict news. "If you are going to meet an Arabic person," he said, "you are going to spend the whole time speaking about war there. What happened yesterday. What will happen tomorrow." That desire to be among locals brought the family of four, including his cheerful wife Hend, an economics student who missed graduating by only one semester when the war broke out, to a neighbourhood few Brazilians would choose if they had other options. Taquara is a blue-collar residential area far from Rio's beaches and deep in its west zone, bordering the wide City of God favela and where residences are protected by spiked gates scrawled over with black pichação graffiti. Najjar identifies with the way Brazilians spend their free time on the weekends together with their families, a trait he sees as distinct from lifestyles in Europe, where he was a graduate student in architecture. He also appreciates a healthy levity amongst Brazilians, the way they value leisure time and how religion is important but does not seem to drive as hard a wedge between them as elsewhere. Friends invite them to church, aware the family is Muslim, but not seeing that as a "gap" between people, Najjar said. It reminded him of his pre-war life in Latakia, where relatives married Christians, Sunnis and Shias, and all came together each week for family gatherings. "We decided to look for a non-Muslim country to live life in a condition proper for Muslims," he said, "and here in Brazil they have that." In his modest Taquara apartment, Najjar walks onto a small terrace and points to the nub-topped hills of Rio's west zone in the distance. He knew he wanted to live here when he saw that he could look out and see such greenery from his own house. The family's daily lives revolve around a home-cooking business the Najjars manage, and the hustle and bustle that comes with the way they quickly became local fixtures here. Brazilian friends pick up their kids for play dates and urge them to choose a side in the Fla-Flu football battle. Nancy, four, like thousands of her other neighbours in Rio, caught the mosquito-borne Zika virus. The respected private school, Santa Mônica, offered their kids tuition-free enrollment, and Khaled, two, already yells "é meu!" – "that's mine!" – when he sees a picture of his teacher on Facebook. Najjar imagines staying here two decades, until each of his kids graduate from university. He also imagines a day when they may even return to their country of birth to help in its reconstruction. Very small groups and individuals would not present a problem as they would HAVE TO integrate or leave. The millions who are now escaping their own countries is a different matter,as many are told the world belongs to Allah and they are free to help themselves to what is theirs. It compares with a large group of street or favela dwellers occupying your house,it just could not work for someone who has worked all his life to buy himself a house. 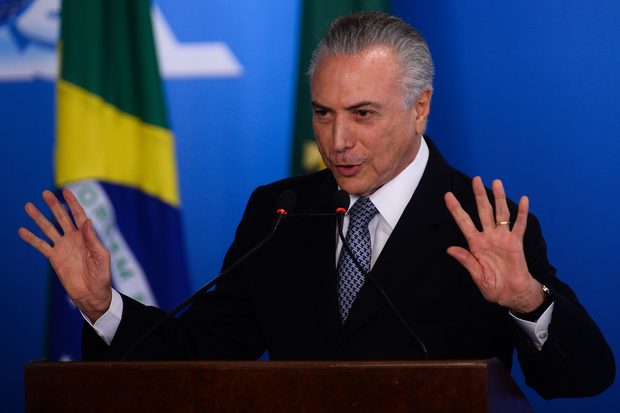 President Temer have just accepted to receive 1.8 million Muslims immigrants from Europe. Who will pay for their keep? Who will give them employment? Leaving their country is really an insult to Allah who gave them their land,which they have forsaken. Brazil only give a very small support for poor families equeal to US$ 50.- per month so the immigrants have to bring some cash to survive. Mastering the Brazilian language is a must,as well as education in order to grab a job in cities which already have a high unemployment rate.